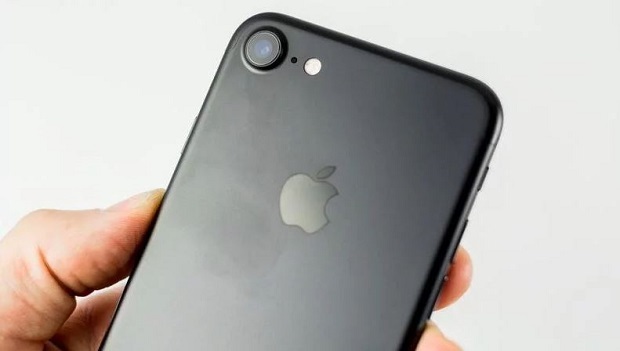 The #Apple #iPhone7 which was released last year is a phone best known being the first model of the company that does not have a 3.5mm audio port. The phone instead makes use of the lightning port to allow headphones to be connected to the device. This is also the first iPhone model to get a waterproofing feature which was missing in other previous models. This is one of the most popular iPhone models and this can be seen in the number of units the company has sold worldwide. Although this is a solid phone there are instances when certain issues can occur which we will be addressing today. In this latest installment of our troubleshooting series we will tackle the iPhone 7 stuck in DFU mode issue & other related problems. Solution: If your phone is stuck in DFU mode then the best way to fix this problem is with the help of iTunes. Make sure that your computer has the latest version of iTunes installed. Follow the steps listed below to fix the problem. Hold the home button of your phone down while connecting it to a computer with iTunes running. You will get a message saying that your iPhone is in recovery mode and needs to be restored. Click on your device (in the iTunes windows) along the main toolbar then go go to Summary. Select the Restore option then follow the prompts. Restore your phone to its previous settings. If this doesn’t work then try the following steps listed below. Hold Home + Power button again for 8 seconds until you see the Apple logo, then release them after the screen turns off. Press Home + Power button for 20 seconds, release Power and hold Home button for 8 seconds. After 20 seconds, release Home button and your iPhone 7/7 Plus shall load normally again. Problem: I need to buy the logic board of iPhone 7. My current iPhone logic board got fired by a local repairer. The board I found from a second hand dealer is okay but according to him, wifi doesn’t work because the phone fell down and after that wifi stopped working. My question is, is it possible to change the wifi module of iPhone 7? I am thinking about buying the wifi damaged board and exchanging the wifi with my own dead board. Does makes any sense? Solution: It’s better to buy a board with a working Wi-Fi chip. A quick search on eBay will show that the most common Wi-Fi chips sold are for the iPhone 6 family of phones. Although it is possible to replace the Wi-Fi chip of this model it is difficult to find the correct Wi-Fi chip. Problem: 3 hours after i showered with the water resistant phone and had been using my phone with no issues the bottom right hand corner of the screen became grayed out as well as the right hand edge of the screen. It would momentarily get better and then the entire phone would flicker and then just go black. It has gone black again and will not turn back on. Solution: You will want to place the phone in bag of rice for at least 48 hours. Once this is done check if the phone now works. If it doesn’t then it’s very likely that your phone has suffered from water damage. The best thing that you can do right now is to bring this device to a service center and have it checked. Problem: iPhone 7 is dead, no obvious damage. It doesn’t seem to charge and it does not respond to any combination of buttons being pushed. Sometimes a green light flashes at the top but there is no discernible pattern. Solution: What you should do first in this case is to clean the charging port of the phone using a can of compressed air. Once this is done charge the phone for at least 20 minutes using a charging cord and wall charger that’s tested to work on other devices. If the phone does not turn on then force a restart by pressing and holding both the Sleep/Wake and Volume Down buttons for at least ten seconds, until you see the Apple logo. If the issue persists then you will have to bring the phone to a service center and have it checked. Problem: Hi replaced my iPhone 7 screen with LCD. Had to change the home button 2. When i first changed The LCD . I powered it up It was just looping . On logo. I Was about to do restore . But the phone came on. Working fine for few days . Then it ran out of battery power. Charged it up . Stuck on looping logo.. I have done the restore . Still goes to stuck on logo . Did try update would not do it . Solution: The home button of this phone is different from the previous models. While previous iPhones had mechanical home buttons, the iPhone 7 has a solid state home button which is software controlled. This button is also non-user replaceable. If you replace the home button of your phone then it will mess up it’s operation which is what might be happening right now. The best way to fix this problem is to bring the phone to an authorized service center and have it checked.